Getting car sick can quickly ruin a road trip. Obviously, I don’t have to spell out the specifics but if you or a family member gets car sickness you understand how miserable it can feel. My daughter gets car sick or what some people call motion sickness. It starts slow and if we don’t pull out her oils she ends up feeling like she wants to vomit. Do you get that way or have a child who does? Before you reach for the over the counter medications for you or your child let’s take a look at how essential oils could help. Essential oils are powerful natural remedies that can help ease nausea from being in a car, boat or plane. The great thing about oils is that you can customize them to help all your family members. What works for my daughter is a few whiffs of peppermint essential oil. My friend does better with ginger essential oil. Most people need to experiment to find what works best for them. If individual oils don’t work then potentially a blend of oils will work better. Keep reading for individual oils and recipe blends you can have ready to try the next time someone in your family needs it. Inhaling these oils deeply can quickly help settle the stomach down and get some relief. The oils can be inhaled straight from the bottle, few drops in your hands, on a cotton ball, in a car diffuser(like this one), or in a DIY inhaler (see directions below). If inhaling alone doesn’t work try dabbing on the oils on your wrist, behind the ears, and/or stomach. For children, try placing their favorite oil on their blanket or on the bottoms of their feet. Let’s start with a few individual oils that are known to help with nausea and motion sickness. This is a short list because many oils can help but start with these or the ones mentioned in the recipes. First, try the individual oils. If they don’t work, try combining them. It will be a little bit of troubleshooting until you find what works. 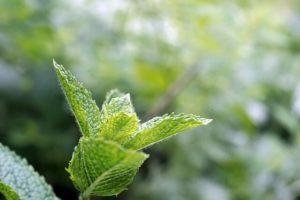 Peppermint – This is the first oil to try because it is the most popular for helping ease stomach issues. Ginger – Your mom might have brought out the ginger ale when you were a kid to help your stomach, right? Ginger Essential Oil works the same way by supporting a healthy digestive system, especially when experiencing nausea. Cardamom – This spicy and warm essential oil is in many of the blends used to help car sickness. Lavender – You’ve probably heard how this oil can help you sleep that’s because most people find the scent very calming. Take a few whiffs when feeling car sick or combine with other oils to ease the discomfort. It’s one of the top 6 oils everyone should carry in their purse. You can add these oils to a cotton ball, your palms, spray bottle, or a blank inhaler to carry in your purse or pocket for quick relief. 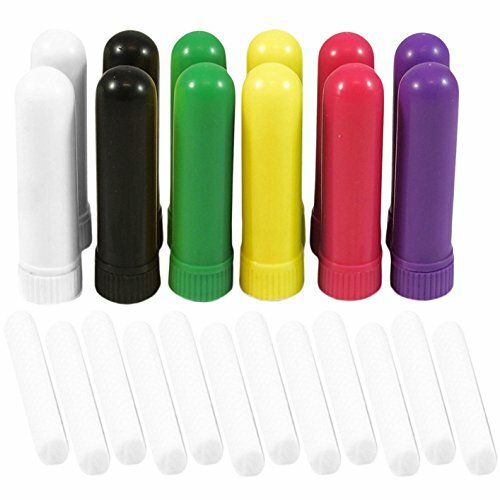 To make a personalized inhaler purchase these blank inhaler tubes on Amazon(or the ones in the photo) and add the essential oils to the cotton piece in the nasal tube. Add 2-10 drops of oil to the tube depending on the strength you want. The great thing about making these inhalers is that you can refresh them at any time. Simply open the tube and add more oils. If you want to experiment with inhaler remedies try these 7 inhaler recipes for other health concerns. Be sure to pin these for future reference. I discovered this recipe at Biosorcenaturals.com. Add essential oils to a spray bottle then fill the rest of the way with water. Shake before use. Spray on wrists, neck, and above the navel. Temples, too. Add this combination of oils to a roller bottle then fill with fractionated coconut oil. Roll on wrists and back of the neck and clockwise on the stomach. We love orange essential oil so when I learned about this recipe from Wendypolisi.com I had to share it with you. Add this combination oils to a roller bottle then fill with fractionated coconut oil. Hercel at gymcraftlaundry.com shared this awesome blend to use in a car diffuser. 1. Face Forward: If your child is old enough forward facing is the best way to avoid getting sick in the car. 2. Avoid Reading Or Looking At Your Phone While Riding: I love to read in the car but neither of my daughters can without feeling sick. We opt for audios on tape to pass the time. We’ve gotten many free ones from our local library. 3. Avoid Fatty And Greasy Foods: Stick to foods like crackers, bread, or bananas if you or your child needs a snack. You may have to experiment to see what works best for you or your child. 4. Apply or inhale your favorite oils about 30 minutes before you plan to be in the car, plane, or boat to help avoid feeling sick. Have your oils ready to use as needed during your trip. 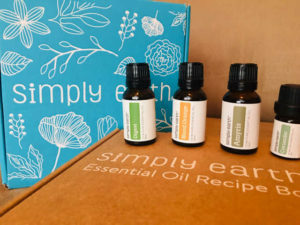 There are many reputable companies that sell essential oils. I have a drawer full of a variety of brands. 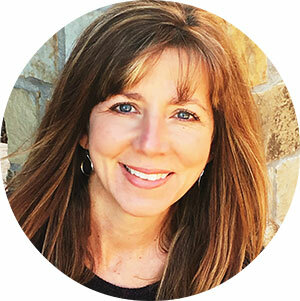 Isagenix, Plant Therapy, and Simply Earth are brands I use and trust. You may have to experiment until you find which oil works best to help you or a family member avoid motion sickness. When you find the right oil you will be so relieved to have a healthy alternative to ease the discomfort. Plan ahead and be prepared so when the travel time comes around, you will be confident that motion sickness will not put a damper the ride. I use essentials oils on our home, can live without it. Although I really did not think of using it on an inhaler tube, I only use those otc mentol inhalers. This article is awesome, thanks! Yes, my girls used those premade tubes for a while until we learned about making our own. They love them especially during allergy season.